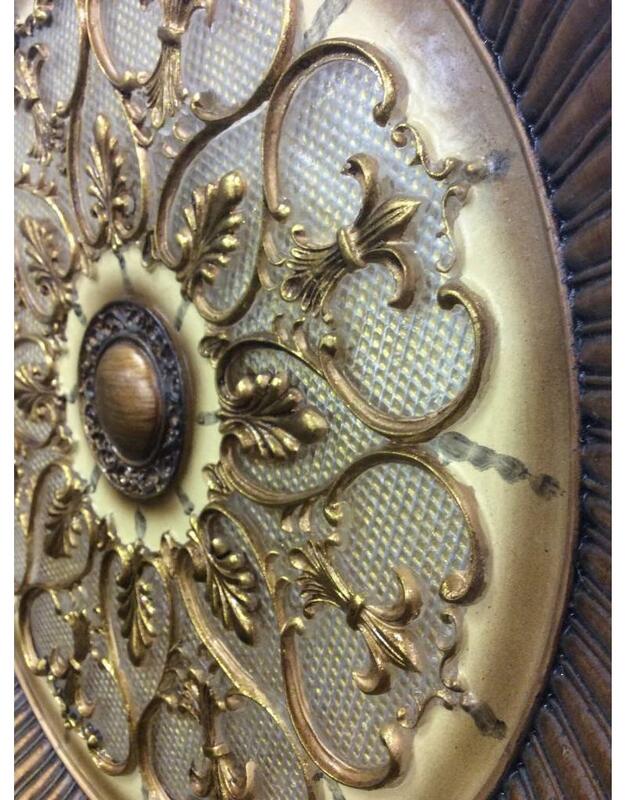 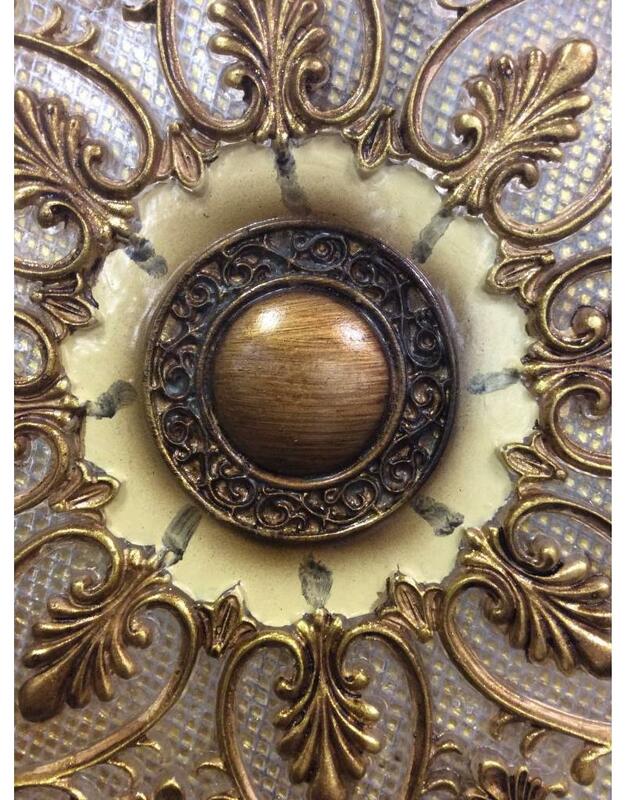 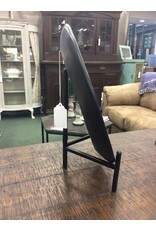 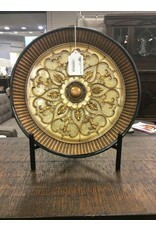 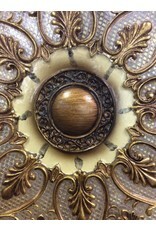 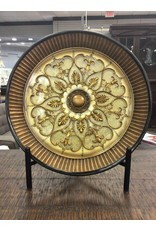 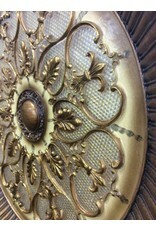 Brand new golden decorative plate and metal stand to display the plate with ease. 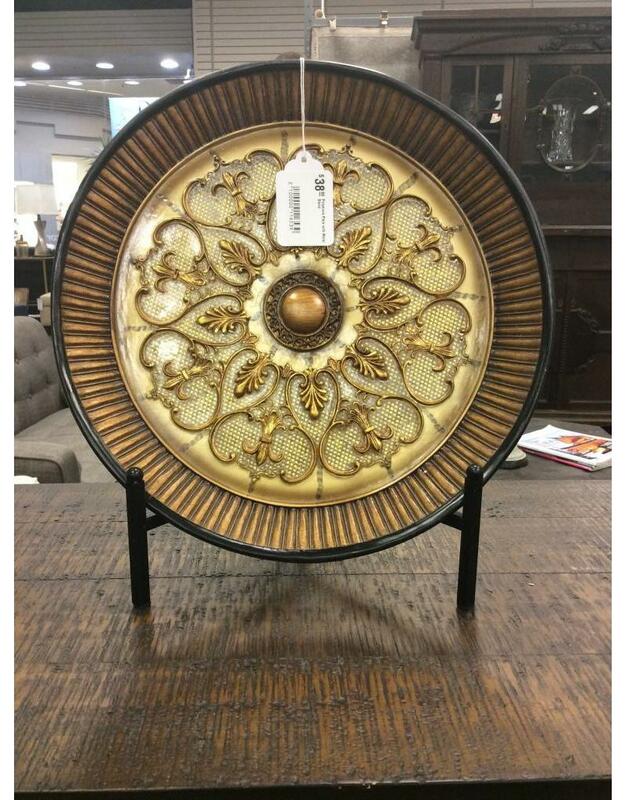 The plate shimmers with a few shades of metallic golds and a touch of bronze. 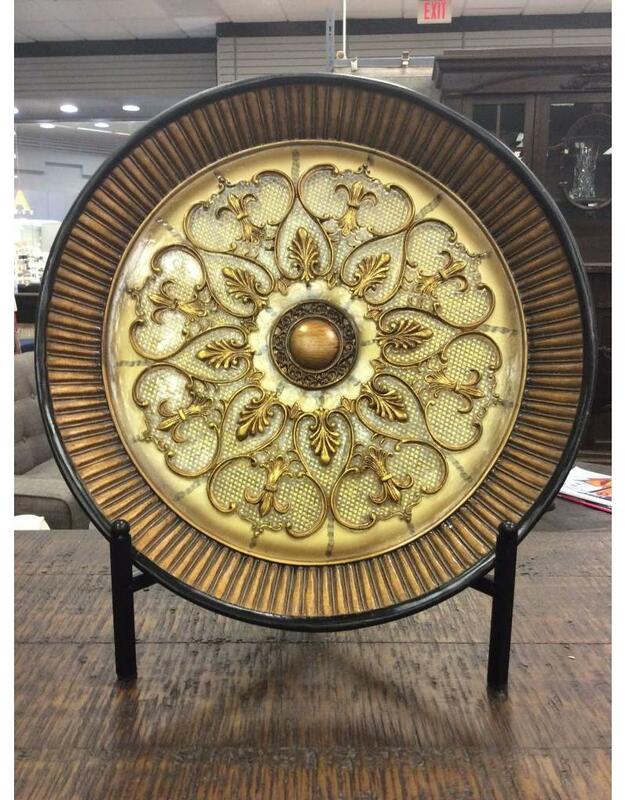 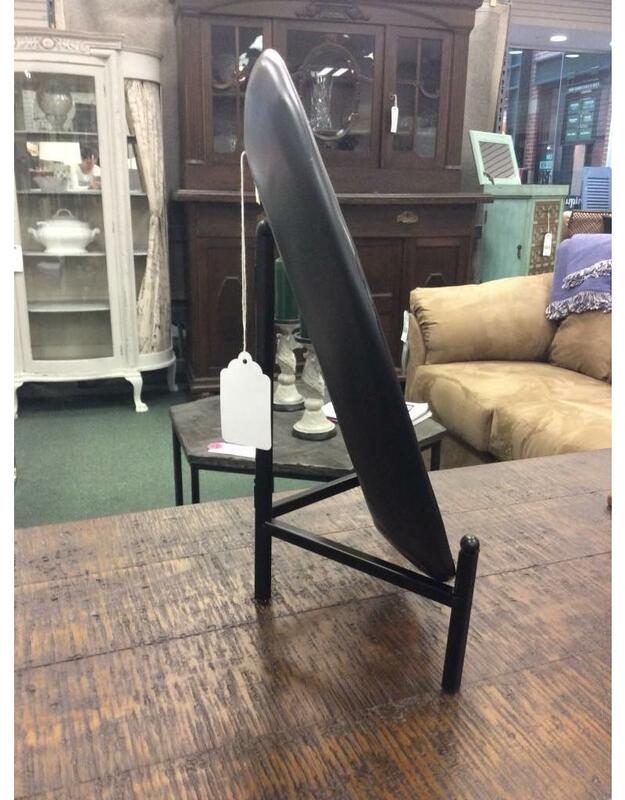 Made of resin, you can even hang the plate near heat sources without fear due to its heat resistant properties.